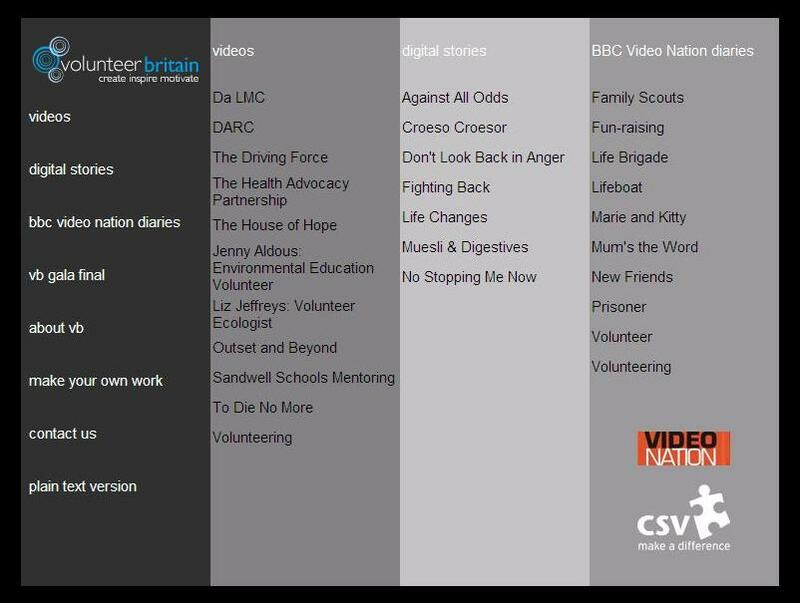 Rebecca has helpfully provided me with a summary of the key achievements from the Volunteer Britain project we worked on together last year at CSV. 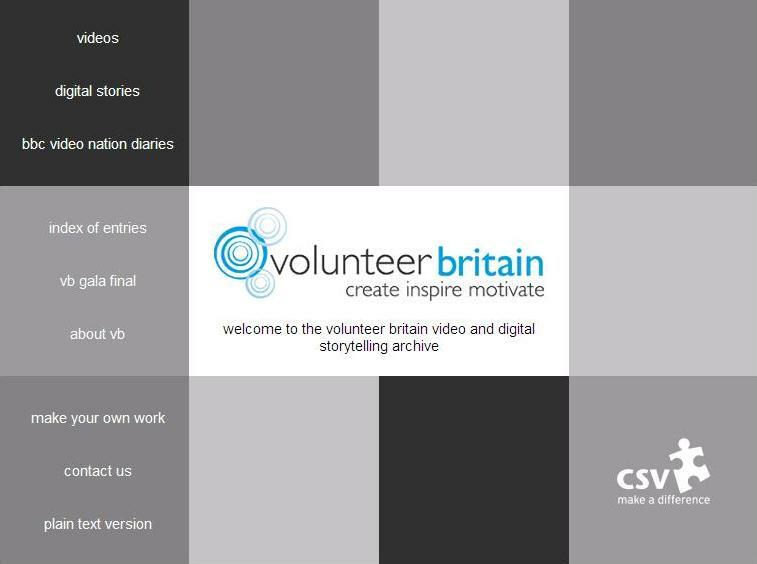 Volunteer Britain was launched in the Year of the Volunteer 2005 to encourage new and experienced filmmakers who have something to say about volunteering to tell their stories. Films were shown on the Community Channel in 2005 and at cinemas across Britain, with a special Scottish screening taking place in February 2006. * 12 free screenings (one per English Regions and one in each Devolved Nation) with 425 attendees in total. * Over 100 attendees at the Gala Final, which was held at the lovely Curzon Cinema in London’s Mayfair. * Estimated audience of 160,000 viewers to the Community Channel broadcast. * New partnerships generated with BBC Video Nation, BBC Telling Lives, BBC Capture Wales and the BBC Big Screens, to create and showcase new – and archived – content as well as Bristol’s Watershed Media, Picturehouse Cinemas, the Community Channel and MediaZoo. * 64k successfully applied for from the National Lottery and the Home Office. The website should be live for a little while longer. You can view it here (it includes links to all of the films below).